Coated VICRYL Suture is a synthetic absorbable sterile surgical suture composed of a copolymer made from 90% glycolide and 10% L-lactide. 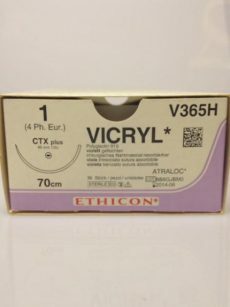 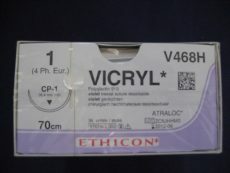 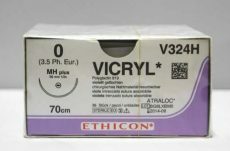 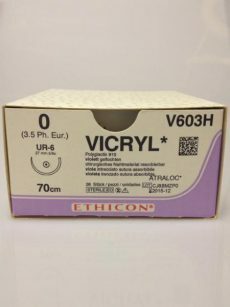 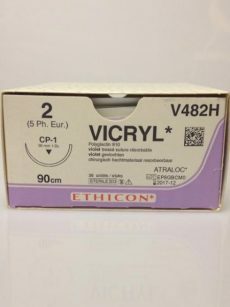 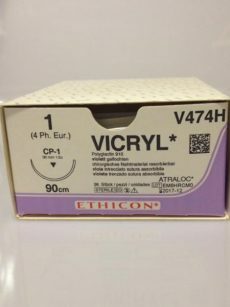 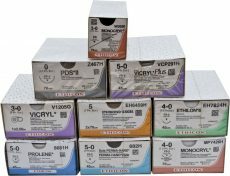 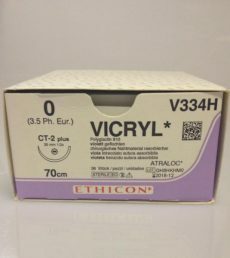 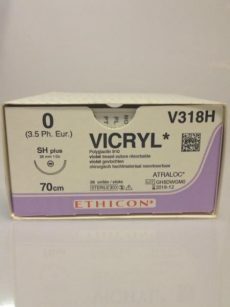 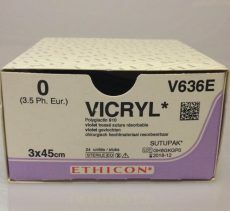 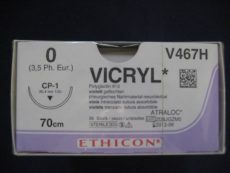 Coated VICRYL sutures are intended for use in general soft tissue approximation and/or ligation, including use in ophthalmic surgery, peripheral nerve anastomosis and microsurgery for vessels less than 2 mm diameter. 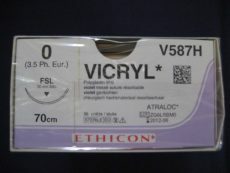 The safety and effectiveness of VICRYL sutures in cardiovascular tissue have not been established. 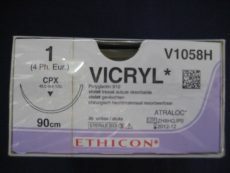 This suture, being absorbable, should not be used where extended approximation of tissue under stress is required.